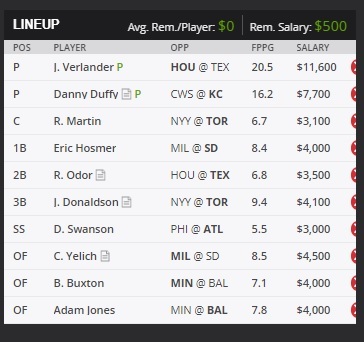 Justin Verlander leads the way in this balanced lineup that could do some damage. I really like Eric Hosmer to have a great debut for the Padres. Christian Yelich is another player who should have a good start in a new city as well.